Standing in line for two hours just to take a bite of a sandwich may sound crazy to some but for the fans of Ike's Place it is a price they are willing to pay. But the neighbors of the small San Francisco sandwich shop are tired of the hoards of people crowding their streets. The New York Times tells the story of how owner Ike Shehadeh went from depression the first week he opened his shop to hiring 47 employees to help him fend of up to 1,200 people taking their turn in line on a weekend day in just three short years. NIMBY neighbors have forced the popular restaurant to close its door earlier now because chalk lines and black rope trying to keep hungry eaters off of neighbors driveways was not working. 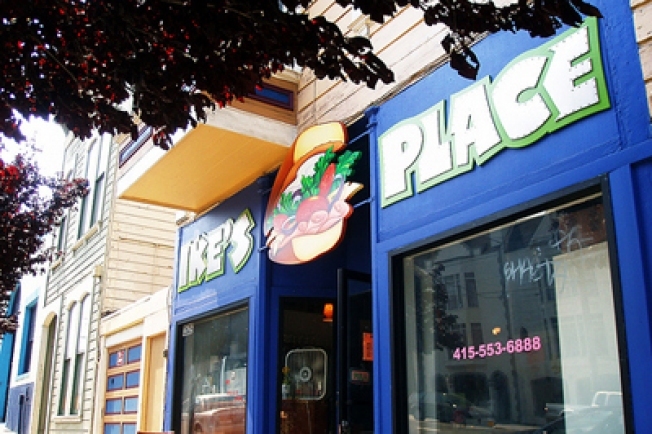 Ike's has even tried to use its success to disperse its crowds across the Bay Area. The restaurant opened an outpost in Redwood Shores and will soon have another on Stanford's campus. But the problem has still not gone away completely. For neighbors, their best hope maybe the dream of Ike's vending machines in the Mission.